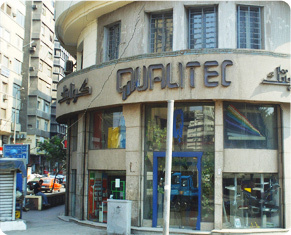 Qualitec is a premier sales company for high quality electrical systems and standard sheet metal products. The company has been founded in 1995 as part of NOZOM Group, which boasts a proud history of strong manufacturing capabilities and quality products.For over 15 years we have provided our customers with a reliable source of cable supporting systems, electrical Cells, electricalpanels, elevator doors and cabins, fixed and mobile storage systems —etc as well as with a quality state of art full after sales services. Our company provides a full range of products and services to meet your small or large project needs including design. We are structured to help people to succeed. Try us for quick response, excellent technical support, and a large inventory for your ongoing requirements. We are sure that you will be pleased with our hands on personal support for all your requirements.